My grandmother always said things turn out for the best. I have searched for decades for my personal best! And I’ve always hoped everyone else finds their best. All those years ago, my special Lady appeared. It was to be temporary – I was a pastime, and she was designed to patch my broken heart. Death had robbed me of my true love, so my Lady Jen soothed the time. I knew Jen would be leaving after her education was completed. She knew I would remain in Colorado. She was in her mid-twenties and I was in my mid-thirties. She was too young, and I was forever in mourning for my lover. So, it was a perfect – safe – fit. And we knew ‘goodbye’ was something that one day would have to be said. *Did you feel you had to run so far? Don’t you know I’m there wherever you are. I’ll still be sharing your day. But I’ve memorized you from the day we met. And I’d written dozens of poems about her. Two have been published in Sappho’s Corner Poetry Series, Volume 3 – Roses Read. They are “Visiting a Pink Shell” and “Tangerines” – and now I’ve written an update poem. Because my love and I have updated us. Ours was a bookmarked romance that waved us to and fro. As the years passed rapidly, there were greetings and partings. Our eyes twinkled remembering the tender accolades. For dreams lifted our marquee high onto a relic plateau. Who were these youthful women crossing one another’s vista? Astonishing sweetness spread layers of love with our first glance. Romantic intoxicants packed our vessels with excitement. Heart songs lulled as we explored one another. How could we be content to allow another sad departure. Fate was an evil marker that saw to it we were parted. Our heritage appeared to evaporate. The long flaps of day continued closing. Our relationship mistakes were gimmickry – without selected significance. Although tears prowled our lives we knew we must correct the past. Sunset’s mighty cruise was before us. We were weary of the ache of incorrect love. Portrayal did not replicate the destiny of what we felt. We each knew the elaborate mistake of years ago. If only we would have reached, and returned. Dreams that had been chased away were now grasping us. Faux romance of yesterday provided my today. Hope concerned itself with happy endings. Now I recognize the weave of sunbursts across my sky. Nature is perhaps as holy as any human soul. For it directs us with guidelines of fresh sky and exquisite earth. And this is where love makes its home. We subscribe to the promise of country stars. Two sculpted forms could forever awaken beneath a cordial moon. there remains the one who loves you. There is no need merely to remember. For a touch reminds me that I belong in today. The best of all my days requires a final bookmark. The location where I belong to her, and she to me. My grandmother was correct – everything works out for the best – eventually. As the songwriter said: Love reaches into forever. 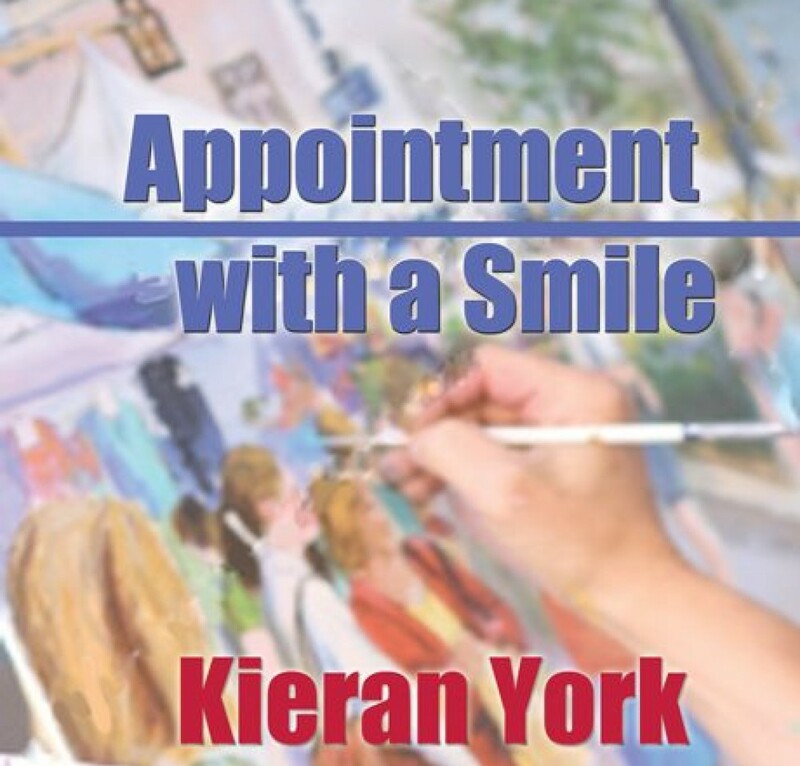 If you are interested in romantic fiction, please consider the Lambda Award finalist in the Romance Category, Appointment with a Smile by Kieran York. Books are available through www.bluefeatherbooks.com. Or order through Bella Books Distribution for books or e-books. Books and Kindle e-books are available through Amazon. This entry was posted in Uncategorized and tagged Bookmark the permalink [https://kieranyork.com/2013/03/15/bookmarked-romance/], lesbian blog, lesbian literature, lesbian poetry, lesfic literature, lesfic poetry. Poetry by Kieran York, sapphic literature, sapphic poetry, [https://kieranyork.com/2013/03/01/bookmarked-romance/] by Kieran York. Bookmark the permalink. Your grandmother was a wise woman. You, on the other hand, are a very lucky one. Love has indeed found a very happy home . Thank you, Mary Anne. I indeed am lucky and blessed. One day I’ll tell the detailed story – and you’ll see have very, very fortunate I am. And my grandmother was a prairie philospher. I think she was better than a chastity belt – she terrified my high school dates. I love this! It’s really that simple!! I LOVE THIS !!! Thank you, Jaynes, my poet friend. Yes, now that the weather is tamer, let’s set up a lunch date. I can’t wait to meet you..
Nice, Kieran. Very light and airy in a mixture of hesitant forlorn. Thank you, Marguerite for your lkind words. ‘Hesitant forlorn’ says it all. If I have any regret in life, it is that I hesitated too long. However, the up side is that I’m there now. Hugs, my friend. Poignant, profound and patient. Lovely and loving. Happy days to you (both). Sheila, thank you. And happy days to you. I always look forward to the descriptive passages in your posts.